Majestic Working Barn, Near Woodville, N.S. Weather Worn Cottage, Parkers Cove, N.S. Farmyard Barn, Gaspereau Valley, N.S. Small Barn with Birdhouse, Near Phinney’s Cove, N.S. Secured for the Coming Winter, Capstick, Cape Breton, N.S. Riverside Shed, Near Clementsport, N.S. Historic Warehouse / Barn, Shelburne, N.S. Shipyard Shed, Annapolis Royal, N.S. These are very beautiful Brett. Love the composition in the Rustic Red Barn especially! Kevin, thanks. That one and the blue cottage in Capstick are my faves among this group. Reblogged this on oBSCURA CAMERa. 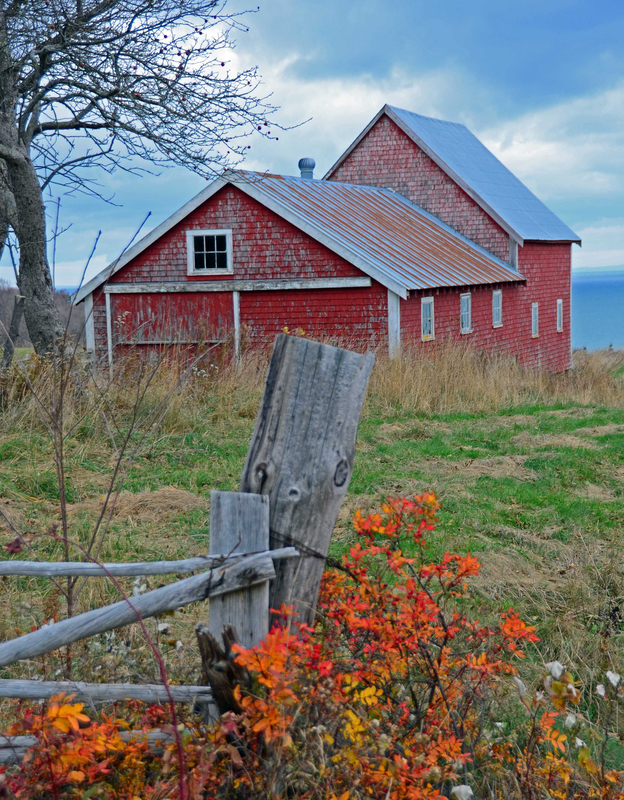 Nice job on these images; red barns are a great subject! the shipyard barn is well adorned. I need to do a post of just places that hang those buoys. Yah, that would look great. In your other post with the blue floating cottages, there is another house well “adorned”. You posted it didn’t you. It’s for us to see. And thank you for posting. Love the barns! The one with the cow is traditionally picturesque! AlainaFae, thanks for your kind words! Love the concept of this blog! And I love your photos and musings on Canada–growing up in Maine, it was my most ubiquitous and cheery neighbor! Thanks so much! Nice to hear of the Maine connection. That state is one of my favorite places and I was just up there last month. I’m probably partial to the east coast of Canada largely because it reminds me so much of Maine. Wonderful shots, fabulous colors. Your blog is a pleasure to follow! Thanks so much! Barns can make for good photos! Thanks so much! The maritime provinces are quite gorgeous! Keep doing the god things you’re doing on your blog.